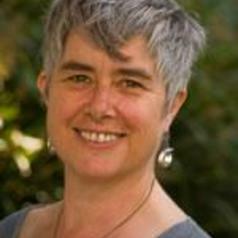 Helen Gardner began her academic career at the University of Otago, New Zealand, in 2001. In 2002 she was appointed to Deakin University as a lecturer in World History and Pacific History. She is currently working with the Institute in the Contemporary History Group where she leads research into contemporary and historical Pacific issues. In 2012 she became the external editor of the Journal of Pacific History and is a former secretary of the Australian Association for the Advancement of Pacific Studies. Helen's most recent publication, co-authored with anthropologist Patrick McConvell, explores the conception and writing of a nineteenth century book of Australian anthropology Kamilaroi and Kurnai (1880). Their book Southern Anthropology - a History of Fison and Howitt's Kamilaroi and Kurnai is based on archival sources and argues for a reapprasial of Fison and Howitt's influence on global theories of human variety in the late nineteenth century.